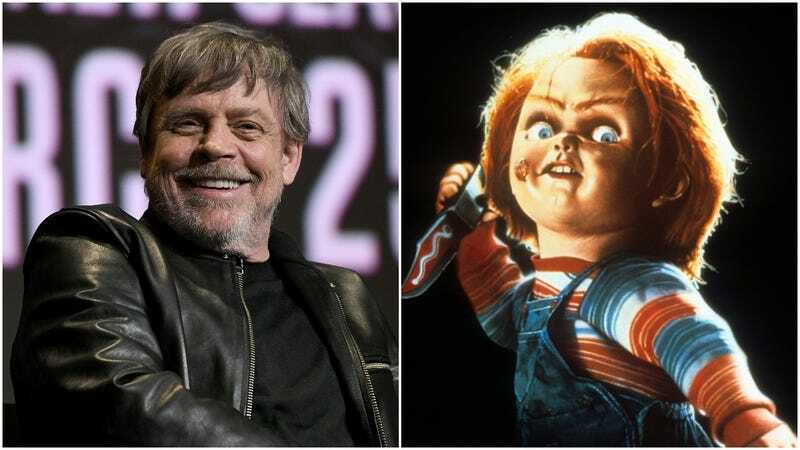 Some legitimately surprising news from the Child’s Play franchise this week—not a sentence we were expecting to write in March 2019, if we’re being perfectly honest—with Entertainment Weekly reporting that Mark Hamill has been cast as Chucky the killer doll in the upcoming remake of the 1989 original. The news isn’t shocking so much in terms of Hamill getting the part of a tiny, super-creepy murder toy—he’s one of the most beloved voice actors in the business at this point, with his version of Batman baddie The Joker serving as the character’s definitive portrayal for many fans—but because it means series mainstay Brad Dourif didn’t. Hamill joins a cast that already includes Aubrey Plaza, Gabriel Bateman, and Bryan Tyree Henry, all of whom are presumably going to find themselves scared shitless when their latest toy store purchase starts giggling and cackling out a bunch of Donald Trump tweets in a supervillain’s voice.